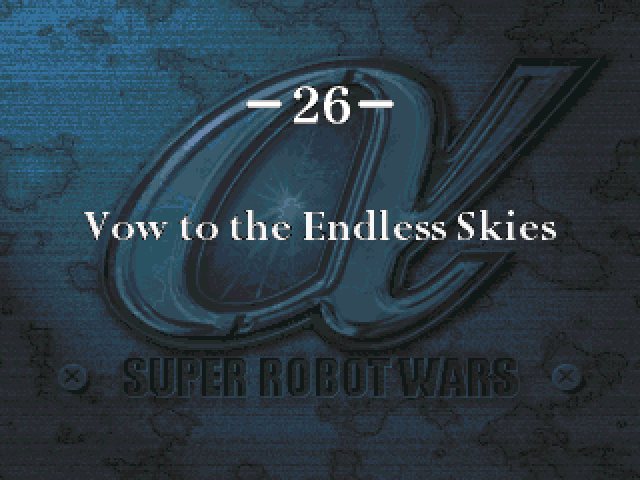 : ...Looks like Tetsuya isn't around here either. 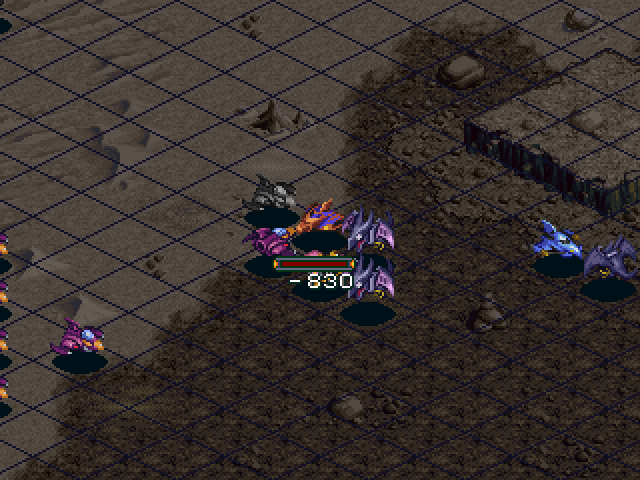 : Look, Ryou... You can brood all you want, but don't forget we're on a mission. : I know that... Hayato... Do you think Tetsuya will come back? 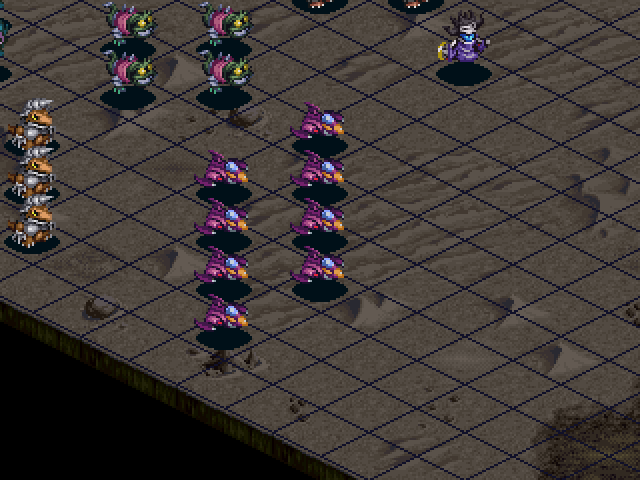 A large group of enemies appear! 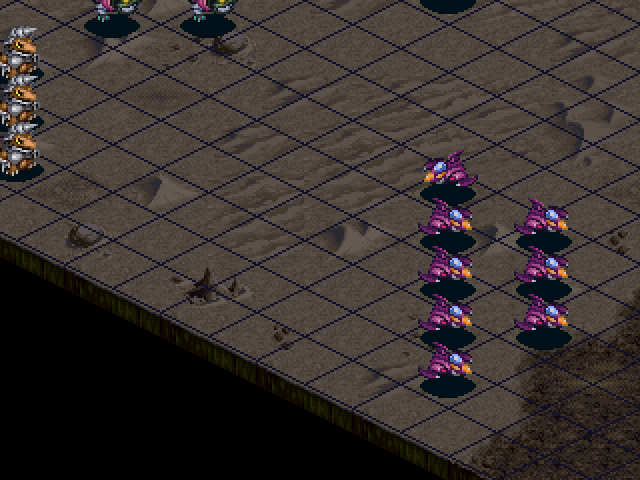 : So you showed yourselves, Dinosaur Empire! : I know that voice! Chief Gallery! You're alive too!? : Of course. Oh, how I've waited for a time like this! Prepare yourselves. 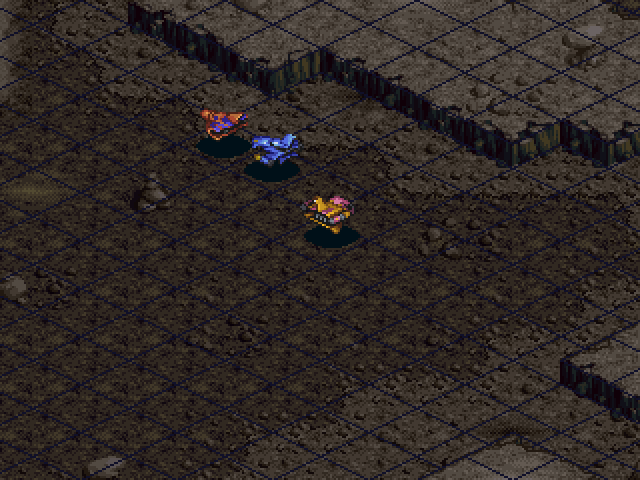 Today, I'll send the Getter Team to Hell! : Hah... You're going to eat those words. 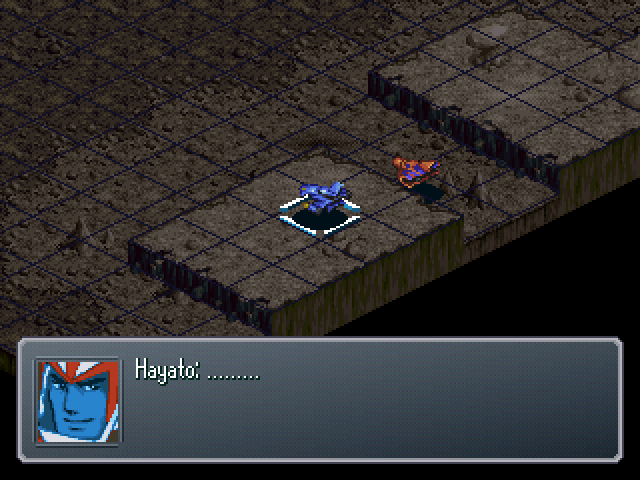 : Hayato! We can't take on such huge numbers directly! Don't over do it before the cavalry arrives! : Is your body in good enough shape for this!? : Don't worry. Injuries like these can't keep me down forever! 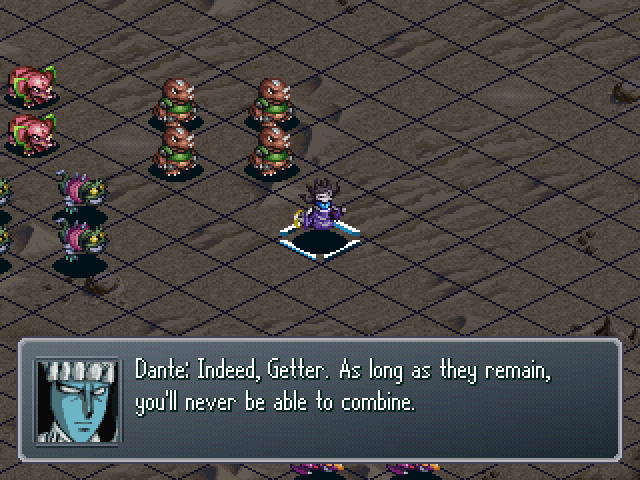 : Now that we're all here, we can make Getter Robo, don't forget. 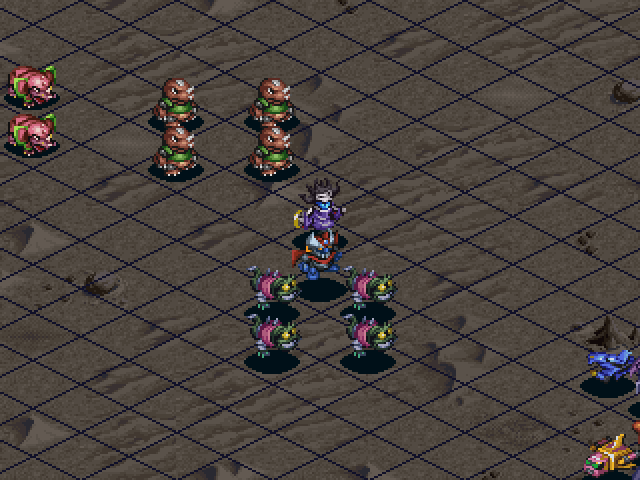 Benkei moves into formation with the other pilots. 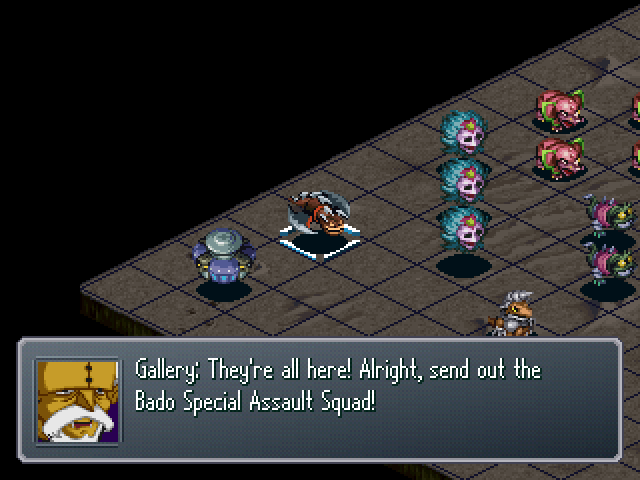 : Bado Special Assault Squad? : You think they stand a chance against us? 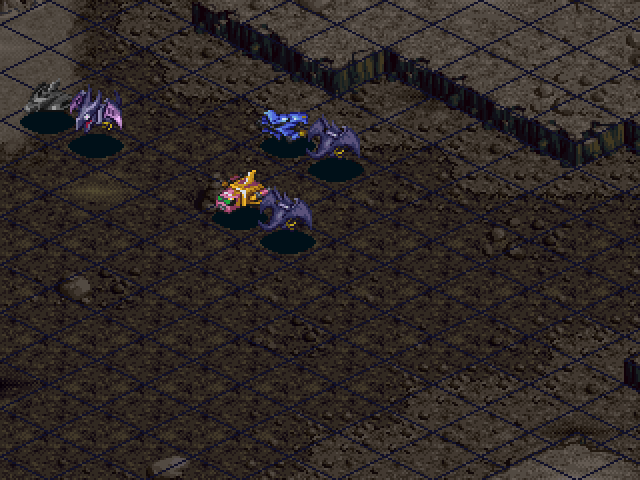 : We'll change into Dragon! 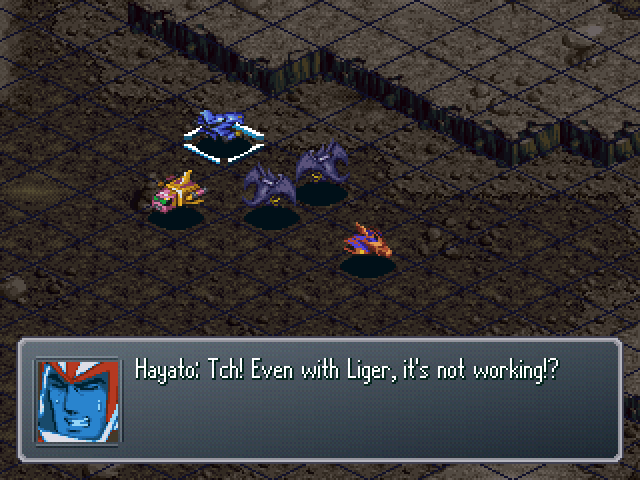 Hayato, you don't have any objections, right!? : Alright, come on!! CHAAAANGE DRAGON!! SWITCH ON!! : Now! 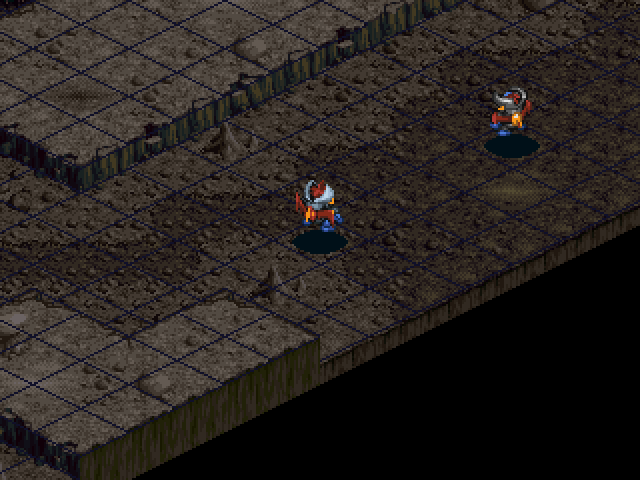 Move in, Special Assault Squad! 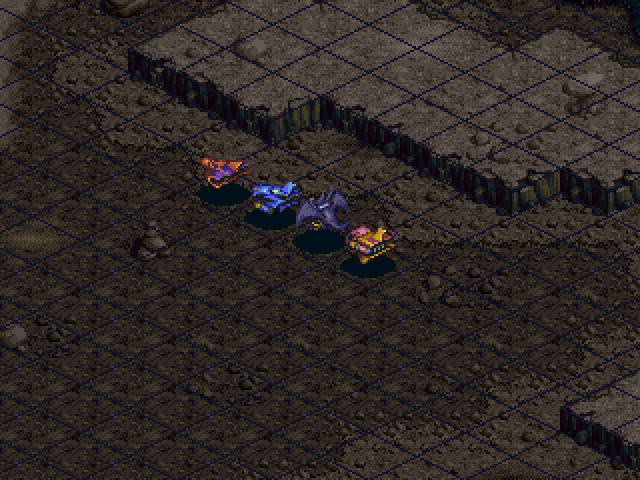 ...A Bado manages to get in between them! : W-we can't combine like this! The failed Combining throws the Get machines into disarray. : Ryou! Let me handle this! CHANGE LIGER! SWITCH ON!! This one fails as well. 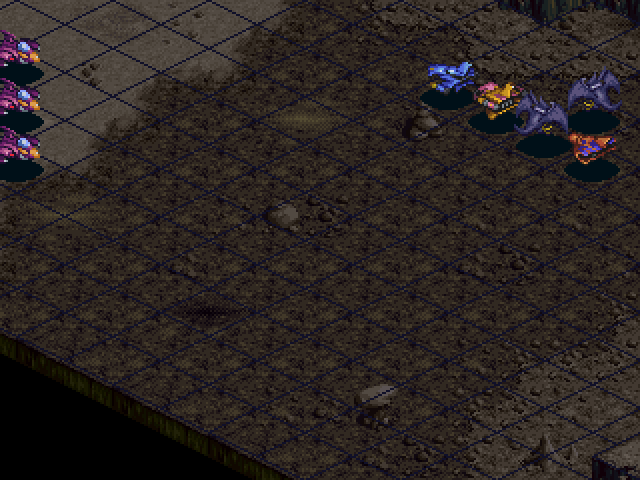 : Are those Mechasauruses able to completely predict our formations!? : Damn! I'll try with the Poseidon next! 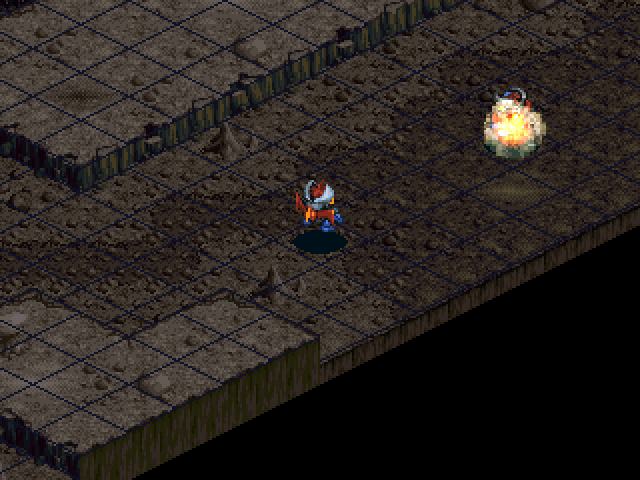 : Forget it, Benkei! They'll swoop in while Getter's combining! ...Not to mention Poseidon takes a second longer to transform anyway! 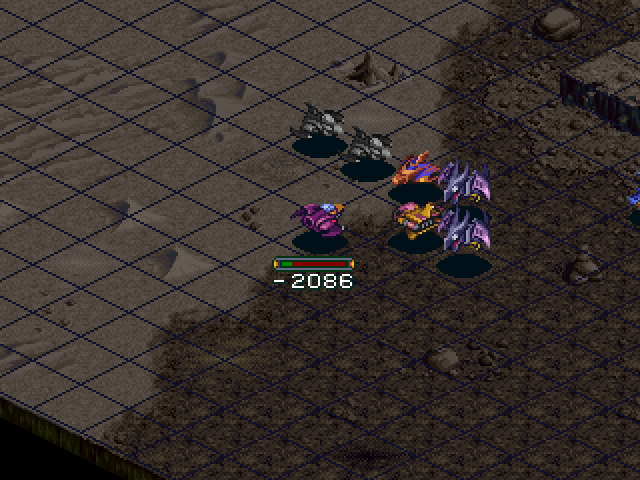 : S-so... We can't combine at all!? : Hahahaha! Have you witnessed the Special Assault Squad's power!? : Those are special mechasauruses designed for this express purpose! The Bados all target a different Get Machine to harass. : Not good! They've practically attached themselves!! : You're nothing to fear like this! 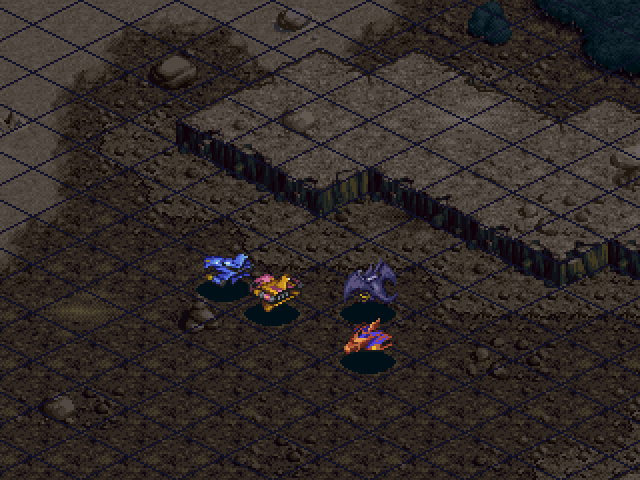 Dino-jets! Crush them! 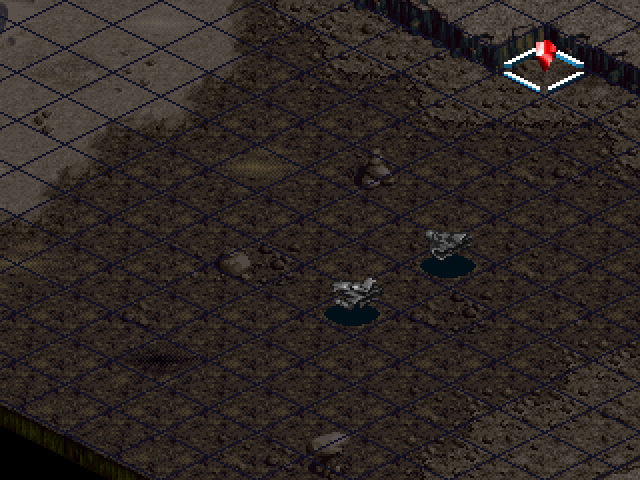 : Damnit... What should we do!? 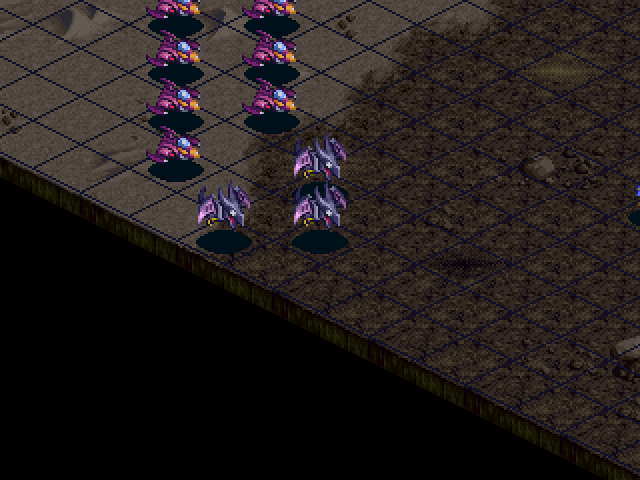 : We'll have to shake them off and try to get into formation again! 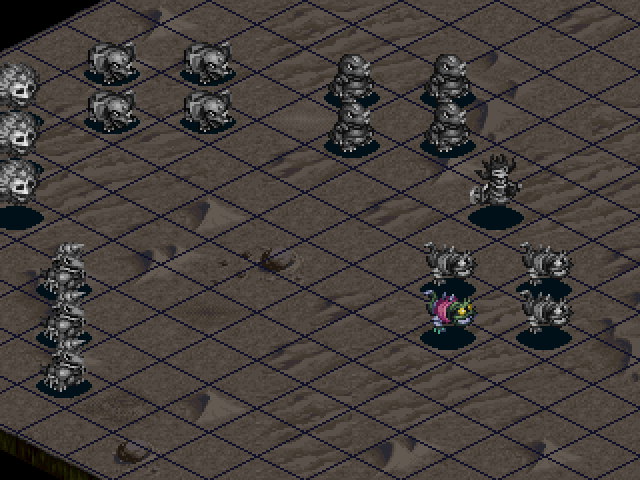 ...Or how much you attack, we can't get rid of them. 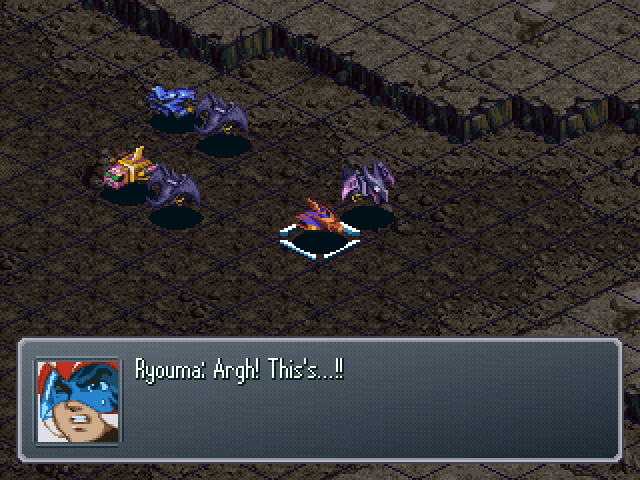 Ryouma takes a few nasty blows from the Dino-jets. 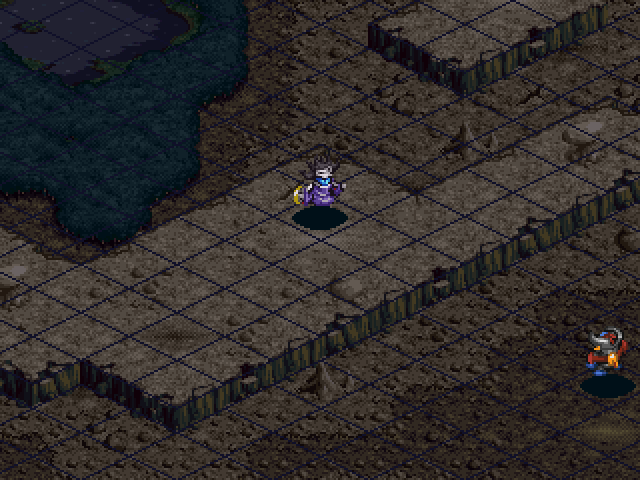 But luckily for me, he has Prevail, which means low health is a good thing right now. 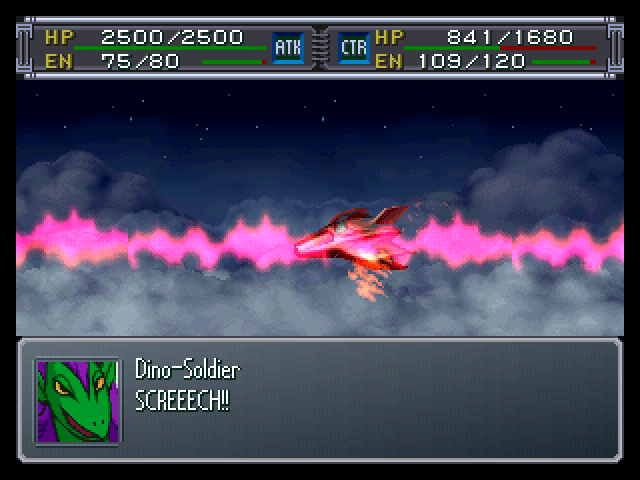 Ryouma almost destroys the entire Dino-jet wing be himself! : Damn, if this keeps up...! 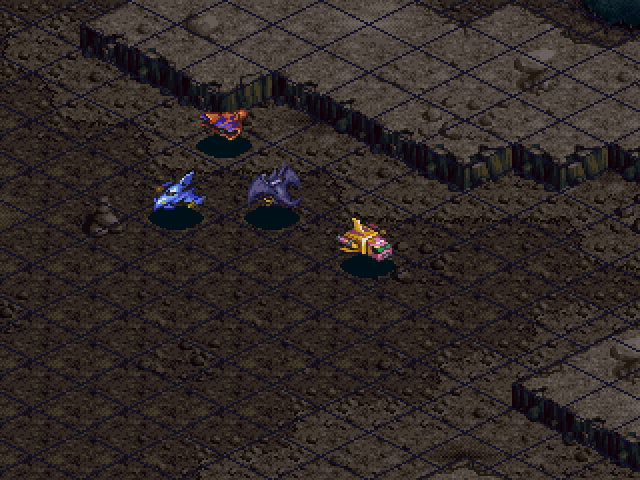 I use my turn to destroy the rest of the Dino-jets. 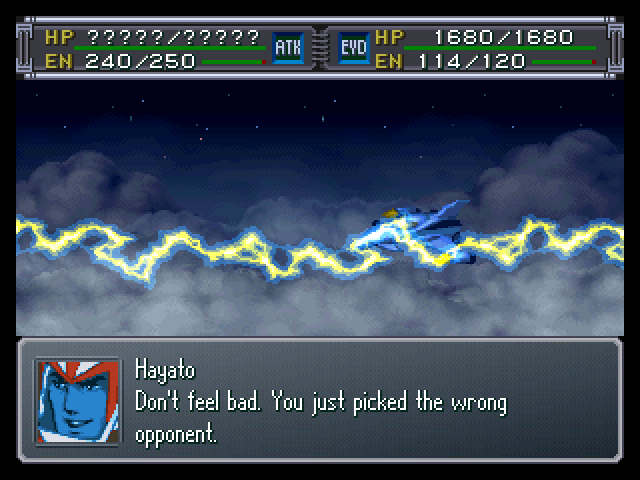 I accidentally put Hayato within range of Dante, but luckily he dodged the attack. 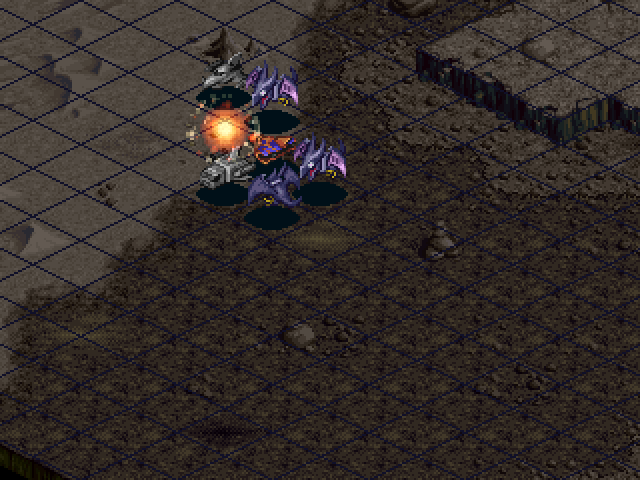 With no more Dino-jets available, the enemy sends a more dangerous foe to attack me. 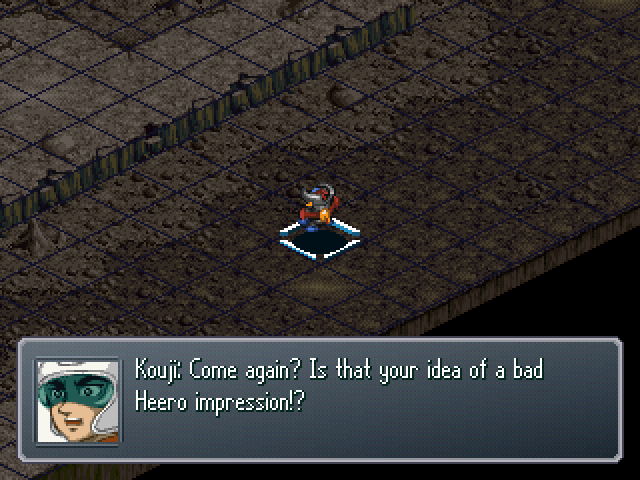 Thankfully, Kouji arrives just in time! : Heheh... I came to find Tetsuya, but hey, looks like my timings perfect. : Kouji! These Bados are keeping us from being able to combine! All we need is a moment! Give us an opening to shake them off! 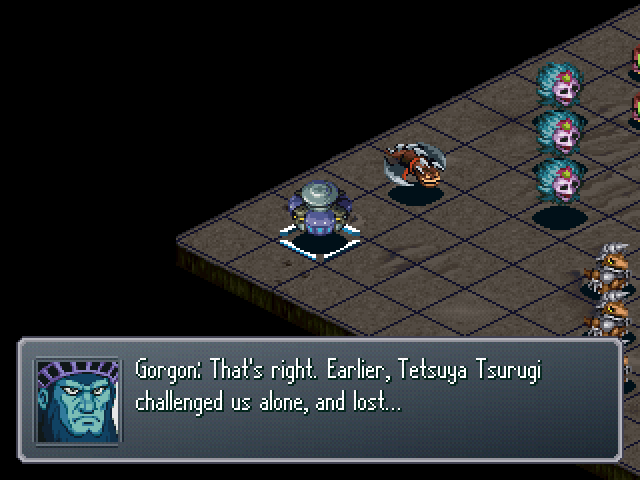 : Duke Gorgon! So you're alive too!? : It's not like I came here because I wanted to! Duke Gorgon! I'll send you to join Baran Ashura down in Hell! : Hmph... You must feel like such a man, mouthing off in a situation like yours. 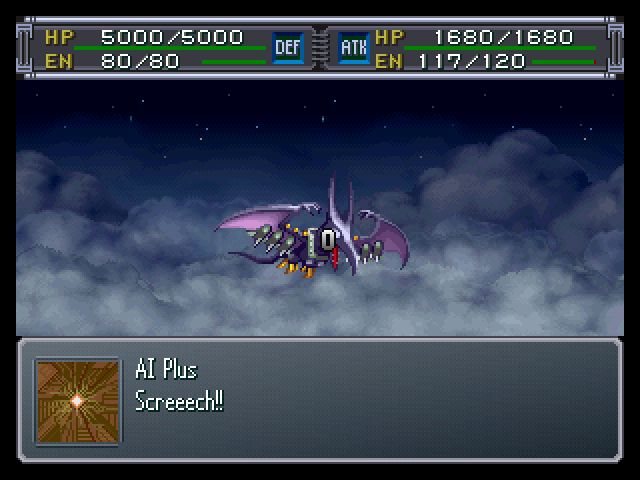 Wait, is that... Great Mazinger!? : Tetsuya, what's the matter!? 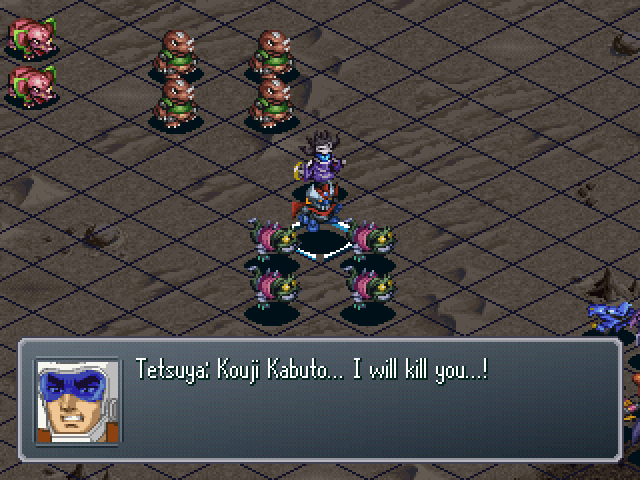 : I will... kill Kouji Kabuto.......! : Now then, Tetsuya Tsurugi! Follow me! 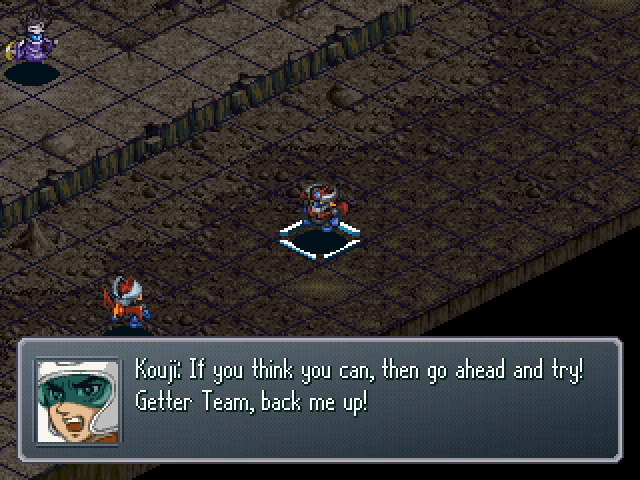 Tetsuya then launches an attack at Kouji! : What're you doing, Tetsuya!? : !! 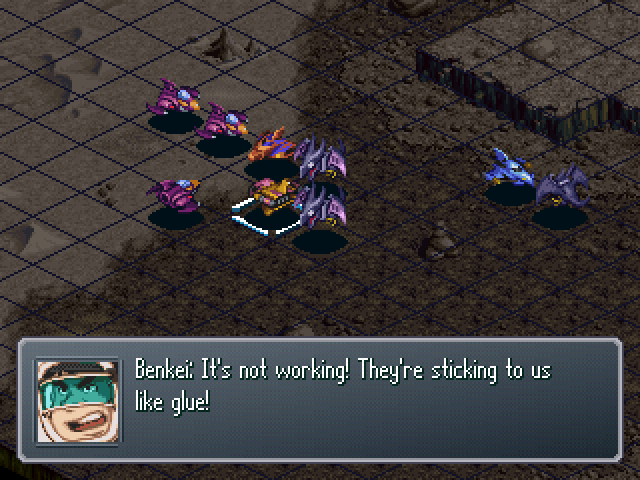 It couldn't be... Benkei! Don't let your guard down! : Wh-what do you mean, Hayato!? : Tetsuya must be... Under the enemy's control! 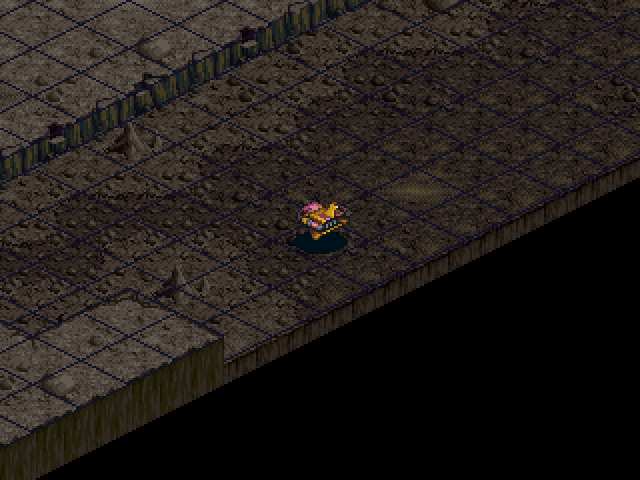 : U-under the enemy's control!? 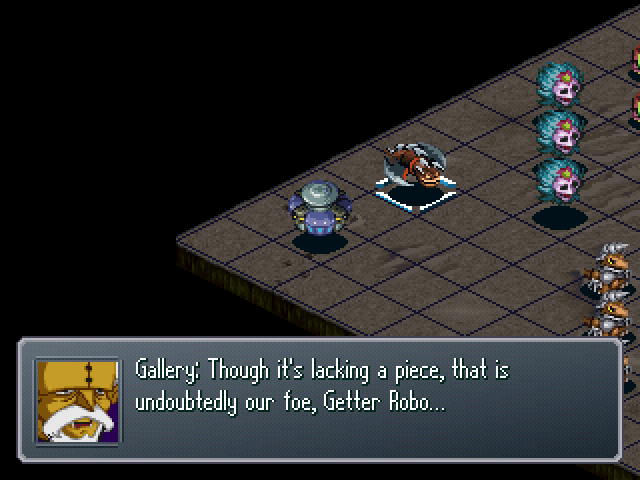 : hahaha... Chief Gallery, it seems our plan has gone smoothly. : Between my mindwave amplifier and your power, we can easily manipulate him... A small feat, for the top scientist and sorcerer of our respective fields. 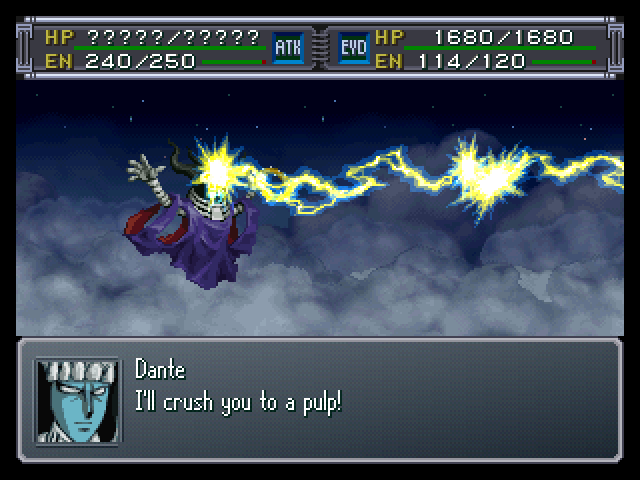 : I merely awakened the dark urges budding within his own heart. : !! So you're the ones controlling Tetsuya!? : How dare you do that to Tetsuya! 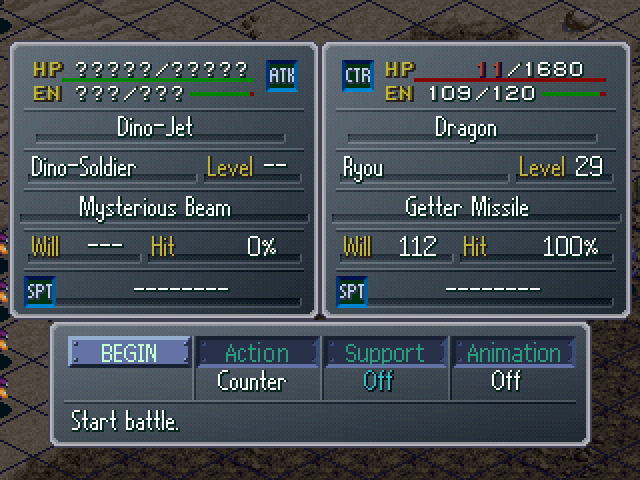 : Hahahahaha, what can Mazinger Z and an uncombined Getter Robo do!? Perish now! : Damnit! What should we do!? 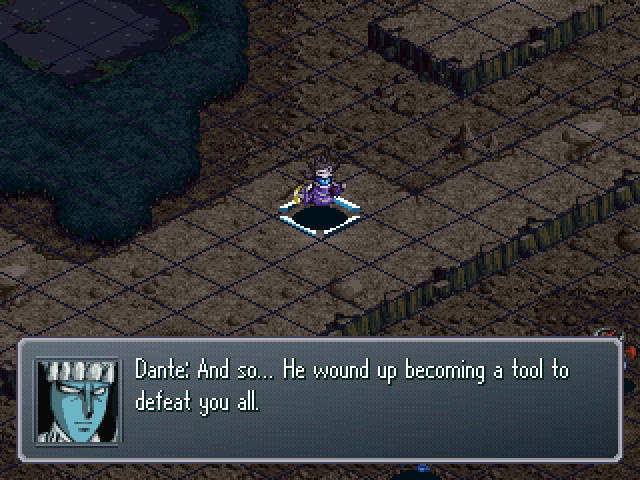 : ...If it's Dante who's controlling Tetsuya, we'll have to beat him. : yeah, I get it...! 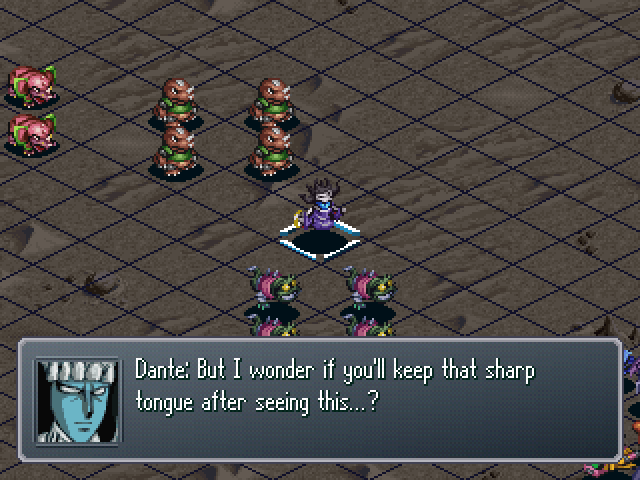 : Alright, then focus on Dante! Be careful not to destroy Great! : I've still got to do it! I'll save Tetsuya, even if it means staking my life! 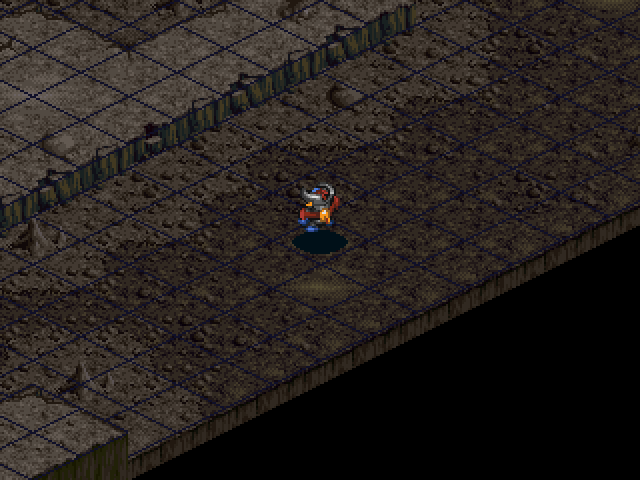 : Stay out of this, Duke Gorgon! I shall bury Kouji Kabuto myself!